Chicago’s Metra announced the creation of a new police unit whose primary mission is to patrol trains, providing a visible law enforcement presence and deterring criminal activity on all 11 Metra lines. The new unit, made up of six full-time officers, will work on every line but will focus its efforts strategically on areas where the need is greatest. The officers will travel in uniform and plain clothes and will supplement the efforts of Metra police officers and detectives who are already patrolling trains and platforms. The officers will work to stop criminal behavior on trains, assist conductors and protect customers. 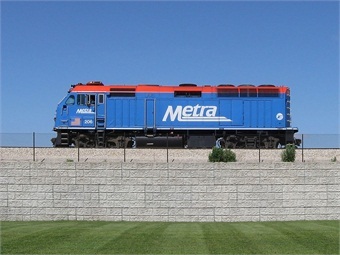 “Our trains are already very safe, but this unit was created to add another level of security on our trains so our customers feel as safe and secure as possible,” said Metra Executive Director/CEO Don Orseno. Last year, Metra Police conducted onboard patrols on 3,500 trains, up from 3,200 in 2014. The creation of this unit, the first time Metra has dedicated full-time resources to onboard patrols, will greatly increase those numbers. Metra embarked on a series of new initiatives last year aimed at making the Metra Police more efficient and responsive to the needs of the agency and its customers, including reducing overtime costs by assigning manpower based on shift activity level; assigning officers based on geographic area instead of rail line; regular training on criminal and traffic law, accident reconstruction and firearms; the implementation of field reporting using laptop computers and an overhaul of the agency’s police dispatch and reporting system.